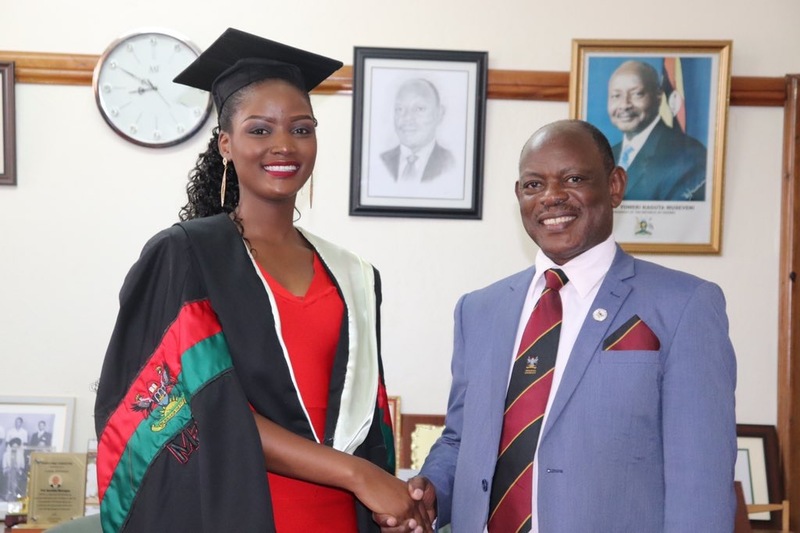 A staffer at Makerere University Business School (MUBS) has exclusively told Campus Bee that Miss World Africa, Quiin Abenakyo was not eligible to graduate last week. The staffer cites favoritism at the Nakawa based institution and said that Abenakyo’s name neither appeared on the graduation list not the graduation book. 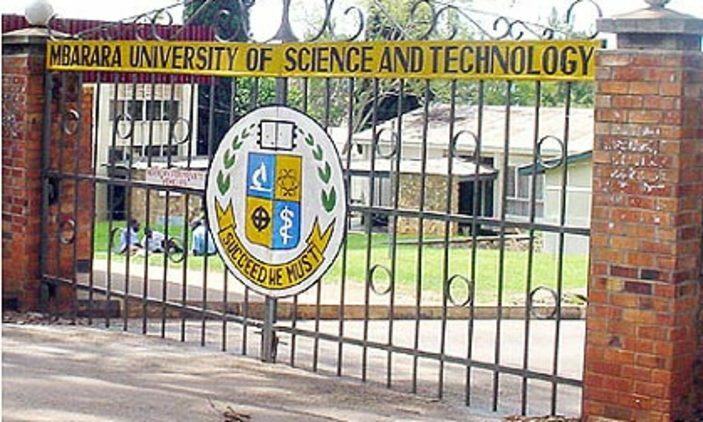 “Quiin Abenakyo was doing Business Computing and the fact that she was not following up her results, she was neither on the graduation lists that were submitted to us neither was it in the [graduation] book,” the MUBS staffer told Campus Bee. Campus Bee crosschecked both the graduation list and the graduation book and indeed confirmed Abenakyo’s name never appeared anywhere. 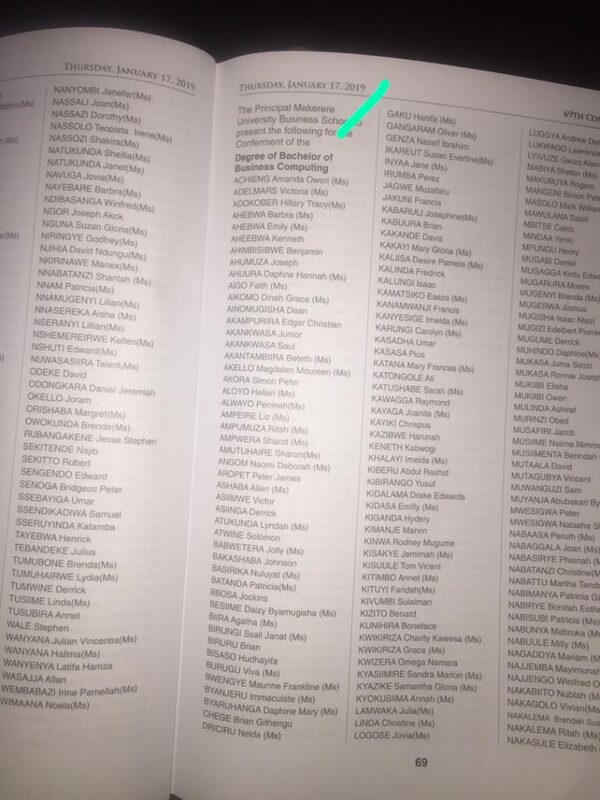 Abenakyo’s name never appeared in the graduation book. The MUBS staffer revealed that Abenkayo made a few calls and they asked [them] to give her the card and the graduation book. “I personally assured her that she was graduating next year since there was nothing to be done about the issue since there were many [other] students who were victims. But she assured us she was going to be read. Which is illegal to read someone whose name is not in the graduation book,” the staffer told this campus news website. Campus Bee can also confirm that Abenakyo’s name (even without appearing in the graduation book) was the first to be read among her fellow course-mates. The staffer concluded: “The reason as to why I want this to run is because fairness had to be done. For the other students also deserved to be listened to and be read because they even got their transcripts but the vc told them their names couldn’t be put anywhere. Campus Bee will keep you posted on this developing scandal.